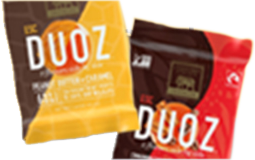 All our products are CERTIFIED GLUTEN-FREE™ by the Gluten-Free Certification Organization. How Do You Use Palm Oil? We do not use palm oil as a supplement for cocoa butter in our chocolate itself, nor do we have products in our current portfolio that use palm oil as an ingredient. Do You Use GMOs in Your Products? All our dark chocolate products are Non-GMO Project Verified. Currently the Non-GMO Project is unable to provide us with Non-GMO verified options for dairy ingredients. Once they find a viable dairy source, we will move forward to gain Non-GMO Project verification for our milk chocolate products as well. Do You Use Cane Sugar in Your Products? How Does Your Shared Equipment for Milk and Dark Chocolate Handle Potential Allergen Contamination? Our dark chocolate bars do not contain dairy ingredients (apart from Rhino -. 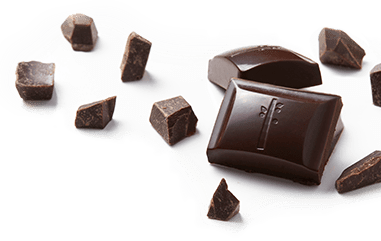 72% Natural Dark Chocolate with Hazelnut Toffee and Eagle – 60% Natural Dark Chocolate w/ Caramel and Sea Salt); however, all our products are produced on shared equipment that also processes milk products. Our quality department does everything possible to purge and sanitize the equipment to make it free from allergens such as milk and nuts. However, there is the possibility of trace amounts of allergens on our equipment, so we ask that you use your best judgment in consuming our products. Please let us know if we can provide you with additional information to help you make an informed decision. The majority of our products are vegan. To make it easy to spot our vegan flavors, we have added Vegan Action’s “Certified Vegan” symbol to our chocolate bar wrappers. Our products are not organic. We source our cocoa from small family owned co-ops in West Africa that simply do not have the resources to afford organic certification. We feel confident that our cocoa is grown sustainably with little to no usage of pesticides. What Does Cocoa Content Mean? Cocoa content refers to the amount of the chocolate product that is made of the three cacao components – chocolate liquor, cocoa butter and cocoa powder. The percentage of cocoa solids present in the chocolate is a great indicator of a chocolate’s quality and flavor. Chocolates with high cocoa contents possess a richer, more intense flavor. Also, antioxidant health benefits can be found in high cocoa content chocolate. Our milk chocolates have a 48% cocoa content. Our dark chocolates have 60-88% cocoa contents. The cocoa content of each Endangered Species Chocolate product is stated on the wrapper. My Chocolate Looks Wrong. What’s Going On? We want your chocolate experience to be nothing less than perfect. If the bar you purchased has a whitish coating and possibly an unappealing surface texture, it may have suffered from a case of chocolate bloom. Bloom is the visual accumulation of sugar crystals on the bar’s surface – caused when the chocolate is subjected to temperature and/or humidity fluctuations. Although bloomed chocolate is safe to ingest, it is not a true taste reflection of the exceptional quality we strive to provide our customers. If your chocolate has bloomed, please contact us today so we can rectify the situation. We are currently using only FairTrade certified cocoa beans from Cote D’Ivoire (the Ivory Coast), West Africa. Our other ingredients are also FairTrade certified where the certification is available. We do not mail out samples or coupons. Keep an eye out for promotions at your local retailer, and we invite you to join our e-card and newsletter list to stay in the know of all things Endangered Species Chocolate. Does Endangered Species Chocolate Offer Tours? We are not currently offering tours to the public. Please regularly check our website for additional information on any changes to our tour program status. Is It Possible to Get a Donation for My Event? This year, we’ve partnered with conservation non-profits Wildlife Conservation Network and Rainforest Trust to fulfill our 10% GiveBack promise. Although we are unable to fulfill your donation currently, please feel free to reach out with any future opportunities. Who Can I Send a Sponsorship Opportunity To? 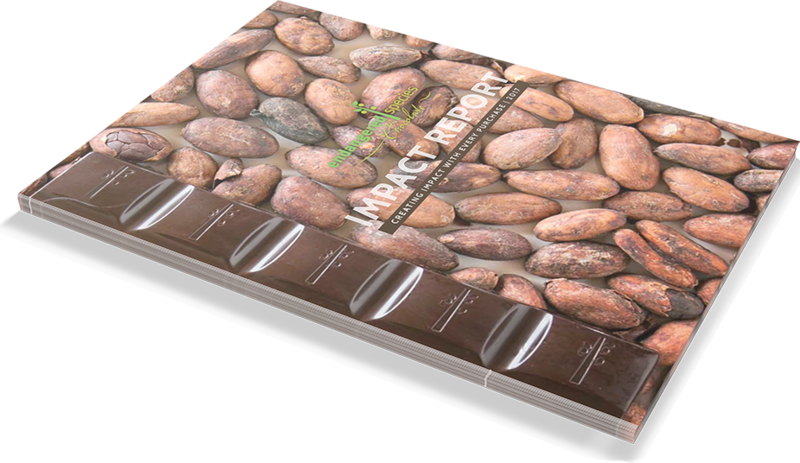 DOWNLOAD OUR 2017 IMPACT REPORT. Discover the amazing influences of the organizations we partner with, and the impact they have on species and communities.